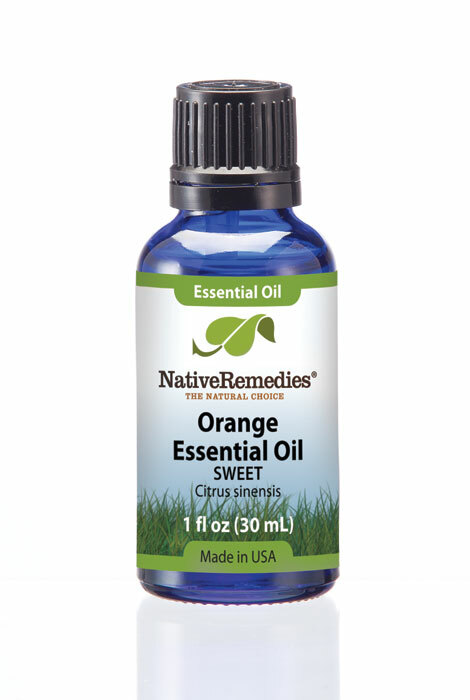 Uses – Sweet orange essential oil for aromatherapy has refreshing and uplifting properties yet can also be used for relaxation. What is Orange Essential Oil? There are many varieties of orange trees grown all over the world. The sweet orange has a fresh, fruity scent that is refreshing and uplifting, but can also be used for relaxing. The oil is extracted from the peel of the fruit through cold pressing. No heat is used during cold pressing, ensuring that the oil’s properties, including scent, are preserved. Sweet orange essential oil blends well with lavender, ylang ylang and cinnamon left. 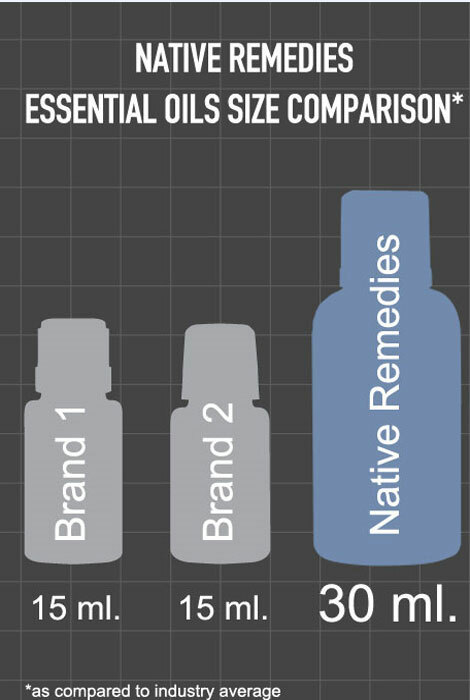 What makes Native Remedies Essential Oils Better? Essential oils are not technically oils, rather they are highly concentrated plant constituents that possess medicinal and cosmetic qualities. Most essential oils are high in antibacterial, antifungal and antiviral properties. Essential oils are miniscule in molecular size, and they do not absorb in the body over time. It’s important to note that fragrance oils and essential oils are not the same thing. Essential oils are wholly natural and cannot be patented. How do I use orange essential oil? For aromatherapy, essential oils can be used in a diffuser. Smelling essential oils, with or without a diffuser, provides benefits. Use essential oils to help your mood. Do not apply essential oils topically without first diluting in a carrier oil, and do not ingest essential oils. With proper care, essential oils will last for at least 5 years. Store your essential oils in dark glass bottles and out of direct sunlight. Avoid contact with your eyes. Keep all essential oils out of the reach of children. What you are allergic to in food, you will be allergic to in essential oils. A few words of general cautions and safety…Essential oils are highly concentrated plant constituents that possess medicinal and cosmetic qualities, and should be treated with caution. They are for external use only. Dilution is an important part of topical essential oil use, and many helpful consumer references are available. If you have sensitive skin, do a small patch test before using new oils to make sure no irritation occurs. If you are pregnant, have high blood pressure, or are using on babies or children, please take special caution. Citrus oils react to light in high concentrations (photosensitive), so please avoid using them on your skin immediately before extended sun exposure.